A program titled “History of Design at Herman Miller” will be hosted by the Holland Area Historical Society on Tuesday, March 12, 2019 , at 7:30 p.m., at the Maas Center Auditorium, Hope College, 264 Columbia Avenue, Holland. This program is free to the public. The Herman Miller furniture line began in 1923 when an ambitious Dirk Jan De Pree found himself at the helm of a new furniture company in Zeeland, Michigan. Join Amy Auscherman, corporate archivist for Herman Miller, as she presents the history of the company’s product design and the influence it has had in the furniture history overall. 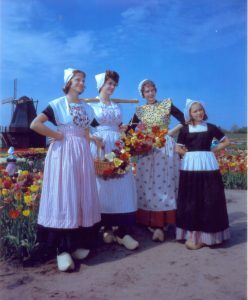 The Holland Area Historical Society will host a program titled “How Much Dutch: The Linguistic Landscape of Holland, Michigan” on Tuesday, February 12 at 7:30 p.m. The presentation will be held in the Maas Auditorium, Maas Conference Center, Hope College, Holland, Michigan. Dutch language and culture have been part of Holland since early settlers came in 1847 and play an important part in the local economy. Join Dr. Kathryn Remlinger as she presents her findings on how language use and cultural objects communicate meanings that reimagine Holland as a “Dutch” city. 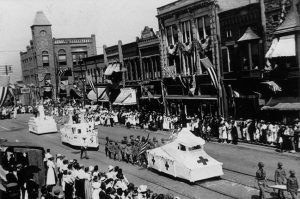 HOLLAND — The Holland Area Historical Society will host a program titled “We All Must Do Our Utmost: Holland, Michigan in World War I” on Tuesday, October 9 at 7:30 p.m. The presentation will be held in the Maas Auditorium, Maas Conference Center, Hope College, Holland, Michigan. The Great War had raged since July 1914, starting as a European conflict which spiraled outward to engulf what felt like the entire world. As men from Hope College and Holland enlisted, those on the home front decided to “do their utmost” in the great cause for America. Join Hope College students Aine O’Conner and Avery Lowe as they present their research on this important conflict. The Holland Area Historical Society sponsors historically themed programs, primarily concerning Holland and West Michigan, monthly except during May, July, August, and January. The programs are funded through dues paid by the society’s members. Membership is paid annually, and costs $15 for individuals, $20 for families, and $10 for senior citizens and $5 for students. The society also has rates for non-profit institutions, corporations and life memberships). Subsequent presentations will be “Promoting Michigan for 100 Years: A History of the West Michigan Tourist Association” (November 20), “150 Years of Grace: Grace Episcopal Church and Christmas Dessert” (December 11), “How Much Dutch: The Linguistic Landscape of Holland, Michigan” (February 12), “History of Design at Herman Miller” (March 12), “Big Red Lighthouse: Aid to Navigation to Local Icon” (April 9), and “For Better, For Worse: Stories of the Lives of Early CRC Pastors” (June 11). Additional information concerning the Holland Area Historical Society may be obtained by calling (616) 395-7798. The Holland Area Historical Society will host a program titled “Ascent: The 75-Year History of the Tulip City Airport” on Tuesday, September 11 at 7:30 p.m. The presentation will be held in the Maas Auditorium, Maas Conference Center, Hope College, Holland, Michigan. Maas Auditorium is located at 264 Columbia Avenue on the Hope College campus. The public is invited, and admission is free. From its founding as a grass landing strip in 1942 to its opening as a major airport business center and terminal in 2016, the Tulip City Airport has played a key role in the transportation history of the Holland area. 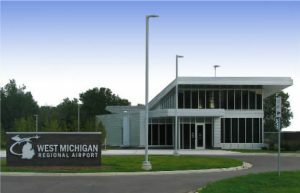 Join local author Myron Kukla as he documents the ascent of this regional transportation link, now known as West Michigan Regional Airport. The Holland Area Historical Society will be hosting the presentation “Answering the Call: Company K Sharpshooters in the Civil War” on Tuesday, March 13, 2018, at 7:30 p.m., in the Maas Center Auditorium, Hope College, 264 Columbia Avenue, Holland. 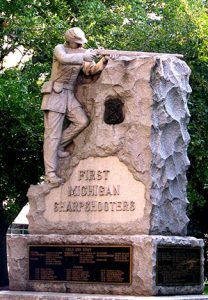 Company K of the First Michigan Sharpshooters regiment was composed primarily of Native Americans of the United States, especially members of the Ojibwa, Odawa, and Potawatomi nations. Communications professor and filmmaker Dr. David Schock will illustrate, through images and historical accounts, the history of this famous Civil War fighting group. 70 Years of Growing: History of Walters Gardens, Inc.
History of Walters Gardens, Inc.
Tuesday, February 13, 2018 – 7:30 p.m.
Walters Gardens, Inc. is North America’s leading wholesale grower of perennials. 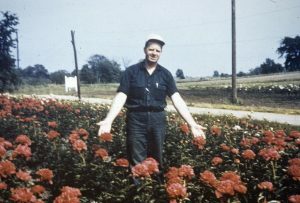 For over 70 years, the company has built its reputation by offering a wide of over 1,000 new and classic perennials of the finest quality to independent growers. Chief Operating Officer Troy Shumaker will show us a wonderful video about the company’s history and answer questions you may have. The Holland Area Historical Society will host a program titled “The Phoenix Disaster of 1847” on Tuesday, November 21 at 7:30 p.m. The presentation will be held in the Maas Auditorium, Maas Conference Center, Hope College, Holland, Michigan. 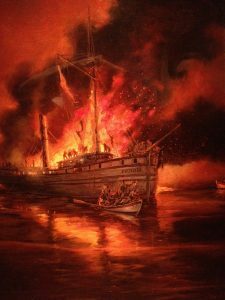 The steamship Phoenix was lost on Lake Michigan on November 21, 1847, with a loss of nearly 250 Dutch immigrants, many of them related to local Hollanders. Join author, historian, and shipwreck hunter Craig Rich as he presents a multimedia history of this local Great Lakes tragedy. 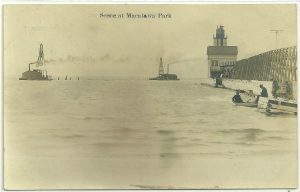 The Holland Area Historical Society sponsors historically themed programs, primarily concerning Holland and West Michigan, monthly except during May, July and August. The programs are funded through dues paid by the society’s members. Membership is paid annually, and costs $15 for individuals, $20 for families, and $10 for senior citizens and $5 for students. The society also has rates for non-profit institutions, corporations and life memberships. Subsequent presentations will be 150 Years of Grace: Grace Episcopal Church Tour and Christmas Dessert (December 12), 70 Years of Growing: History of Walters Gardens, Inc. (February 13), Answering the Call: Company K Sharpshooters in the Civil War (March 13), All Aboard! Early Railroads of Holland (April 10), Wheels Keep Turning: History of Elhart Auto Group (June 12). HOLLAND — The Holland Area Historical Society will host a program titled “Sweet Success: History of Holland Peanut Store” on Tuesday, October 10 at 7:30 p.m. The presentation will be held in the Maas Auditorium, Maas Conference Center, Hope College, Holland, Michigan. Known far and wide for their Nutty Paddle Pops, handmade chocolates, and eclectic candy selection, customers from around the world have visited the Holland Peanut Store for decades. Come hear three generations of the Fabiano family, Samantha Stille-von Websky, Sarah Porebski, Paul C. Fabiano, and Thomas Fabiano, tell the history of this landmark Holland business and their secret to success selling sweets for five generations. The Holland Area Historical Society sponsors historically themed programs, primarily concerning Holland and West Michigan, monthly except during May, July and August. The programs are funded through dues paid by the society’s members. Membership is paid annually, and costs $15 for individuals, $20 for families, and $10 for senior citizens and $5 for students. The society also has rates for non-profit institutions, corporations and life memberships). Subsequent presentations will be Almost Home: The Phoenix Disaster of 1847 (November 21), 150 Years of Grace: Grace Episcopal Church Tour and Christmas Dessert (December 12), 70 Years of Growing: History of Walters Gardens, Inc. (February 13), Answering the Call: Company K Sharpshooters in the Civil War (March 13), All Aboard! 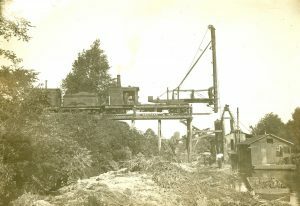 Early Railroads of Holland (April 10), Wheels Keep Turning: History of Elhart Auto Group (June 12).